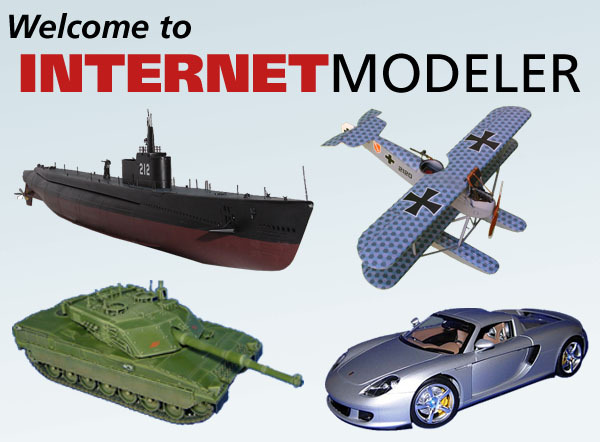 INTERNET MODELER is an online magazine devoted to scale modeling of all sorts, including aviation, armor, ships, cars, and more. In addition to model building review articles, new reviews of the latest scale models can be found, as well as detail sets for the same. Building an accurate scale model is difficult without resources, which is why you'll find book reviews, photo walkarounds, and profile illustrations as well. With the content updated often, you can be assured that INTERNET MODELER will provide you with hours of entertainment, inspiration, and resources. All content ©1997-2013 Internet Modeler. All rights reserved.